In part of this tutorial we jump straight in with upper structure triads. These chords are particularly useful when there are upper extensions and alterations in the melody. We cover a useful movement in major 251s to achieve and interesting version of the II-11 chord leading to a V7b9#11 with very smooth voice leading. 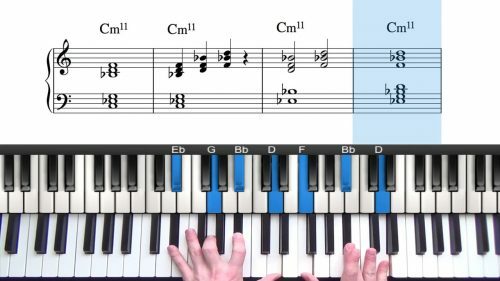 I demonstrate this in 2 keys and recommend that you apply the formula to other keys in your practice time. Next we look at a number of interesting rehamonisations. 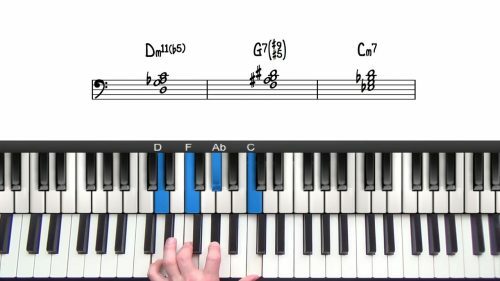 This tune is very commonly played and so adding in substitute chords is an effective way to spice up the chord changes. 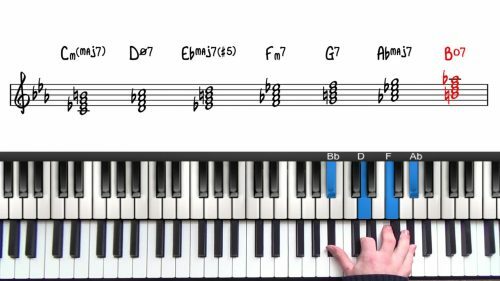 We finish off by discussing a pedal point that can be used to transition from a downtempo variation of the tune, into a faster up tempo version. Pedal points are an effective tool to establish the change the feel or feel of an arrangement.